EXCLUSIVE! 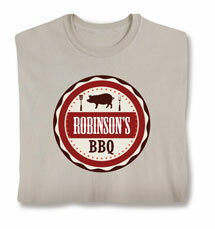 Fans of down home cookin' will love this personalized shirt. 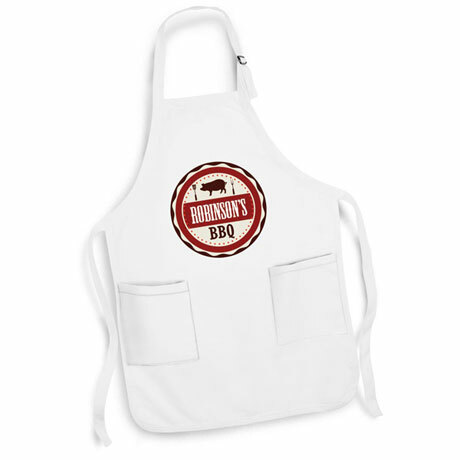 Easily customize any name or phrase on the replica of a classic BBQ diner logo, then proudly wear it as you wield your tongs at the next pig roast. BBQ sauce stains not included. Imported shirts. Printing in the USA. Machine wash. Sand color. Also available on white kitchen/bbq apron.